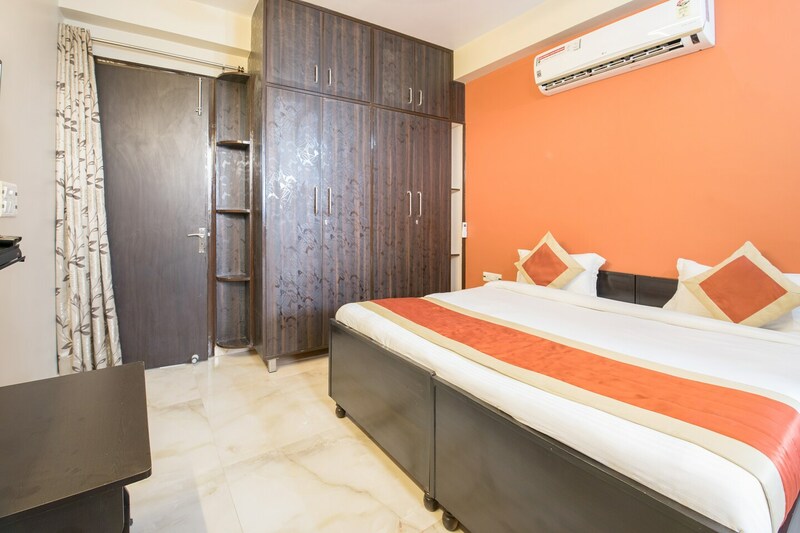 Located in Palam, Kanchan Stays is close to International airport and various popular eating joints.The hotel has well-designed modern rooms with wooden decor. There is enough storage space if guests are planning a longer stay. Every room comes with a balcony that overlooks the city. The hotel has round-the-clock power back up , CCTV Camera, AC, king size beds, free Wi-Fi and television.The property is surrounded by popular eateries like Bikkgane Birwani and Mc Donalds.